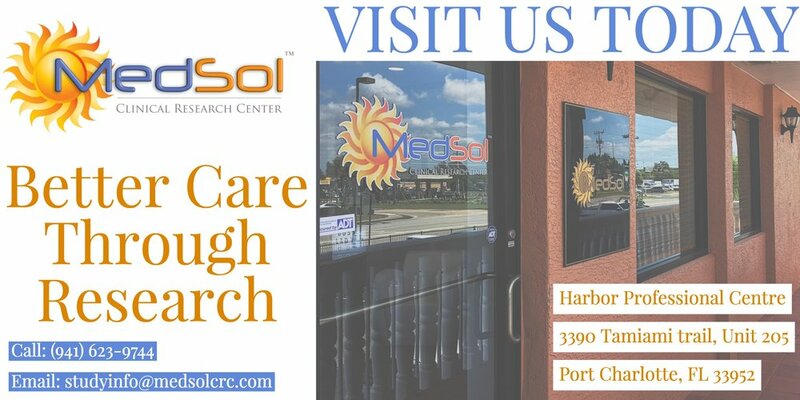 Founded in 2009 by Maria F. Vasconcelos, Medsol clinical Research Center is an independent stand alone research site located in Port Charlotte, Florida conducting phase I, II, III, and IV clinical trials for pharmaceutical and biotechnology companies in neurology, internal medicine, and pulmonology. We were awarded our first clinical trial in March 2010, and since then have participated in over 60 studies with significant results. We currently have over 4,000 contacts in our database with past, current, and potential subjects. With the new and innovative treatments that clinical trials provide, we hope to make a difference and improve the quality of life for those who want to gain better control over their disease, illness, or disorder. Our team is dedicated to conducting research with the utmost integrity and providing the highest quality of care to our community. There will always be someone to answer your call and greet you when you walk in to our office. If you have ever thought about participating in research and want to learn more what we do, our doors are always open for you to sit down with someone and discuss your options. We are currently enrolling in several studies related to Chronic Pulmonary Obstructive Disease (COPD), Asthma (Adult and Pediatric), Epilepsy (Adult and Pediatric), Parkinson’s Disease and Myasthenia Gravis. THINKING ABOUT PARTICIPATING IN A CLINICAL TRIAL? 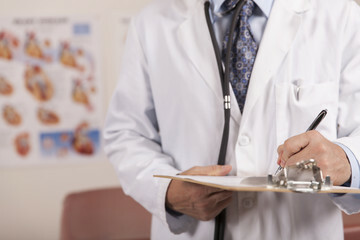 Clinical research offers solutions for a better future. Maybe an effective treatment for your disease isn’t on the market yet, or you’re frustrated with the standard treatments you have received. Consider a clinical trial! 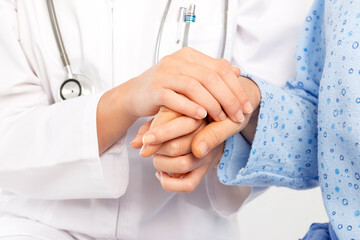 Clinical trials introduce you to experimental, new treatment options that are not otherwise available to the public. WOULD YOU LIKE TO BECOME A PRIMARY RESEARCH INVESTIGATOR? 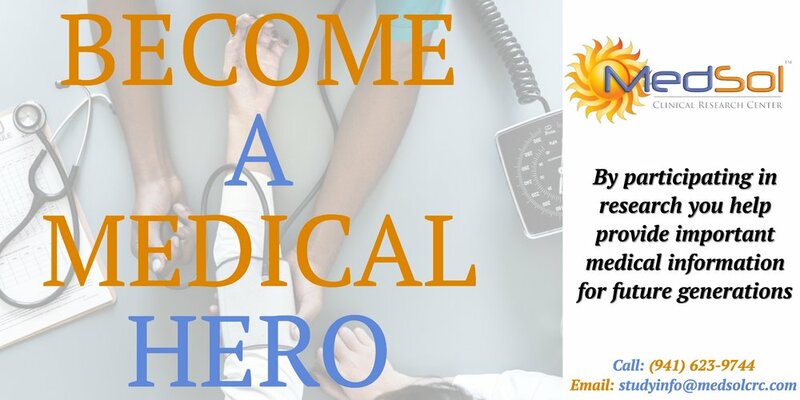 Medsol Clinical Research Center seeks experienced and highly qualified physicians who wish to contribute to cutting-edge medical advances, enhance their current research experience, and truly make a difference in medicine and the lives of participants. Community outreach is extremely important to us at Medsol Clinical Research Center and so we make it a point to get involved in whatever way we can. We frequently participate in local health fairs, events, and partner with organizations in Port Charlotte, Punta Gorda, Englewood, North Port, Ft. Myers and Arcadia to provide better care for our community.